If you follow Barry M Cosmetics on Twitter, you may have noticed that Barry takes over the account now and again in order to offer free make-up to a select few people who he thinks deserve it at the time. This is such a lovely gesture for him to do, and equally a lovely surprise if it happens to be you! I had a quick test (and made some pretty rubbish swatches - sorry!) and I'm really pleased with all the products. 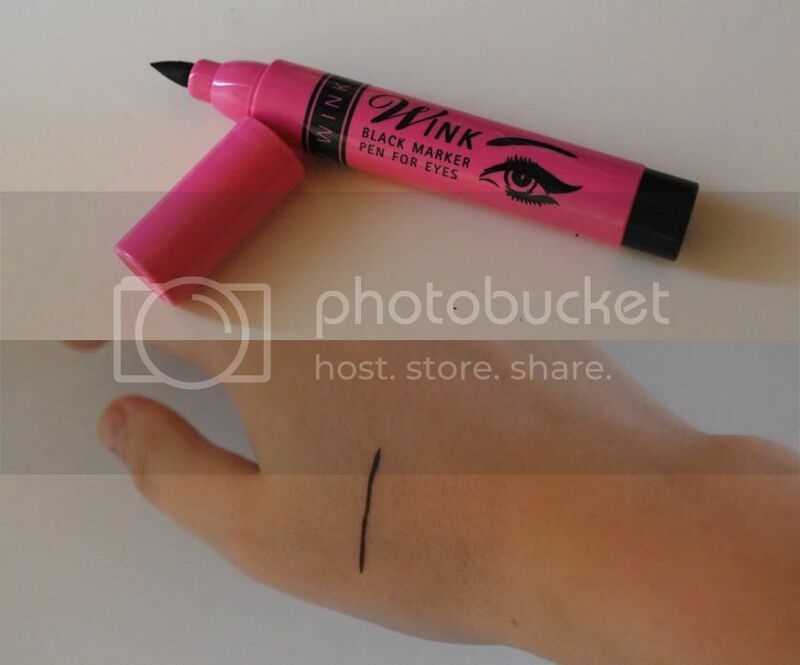 The Wink Marker pen is the perfect alternative to a liquid eyeliner. I always use a pencil liner because I never get on well with liquid, but this is so easy to use. It's also really easy to create the look you want, whether it's thick liner for intensity or thin lines with flicked sides. 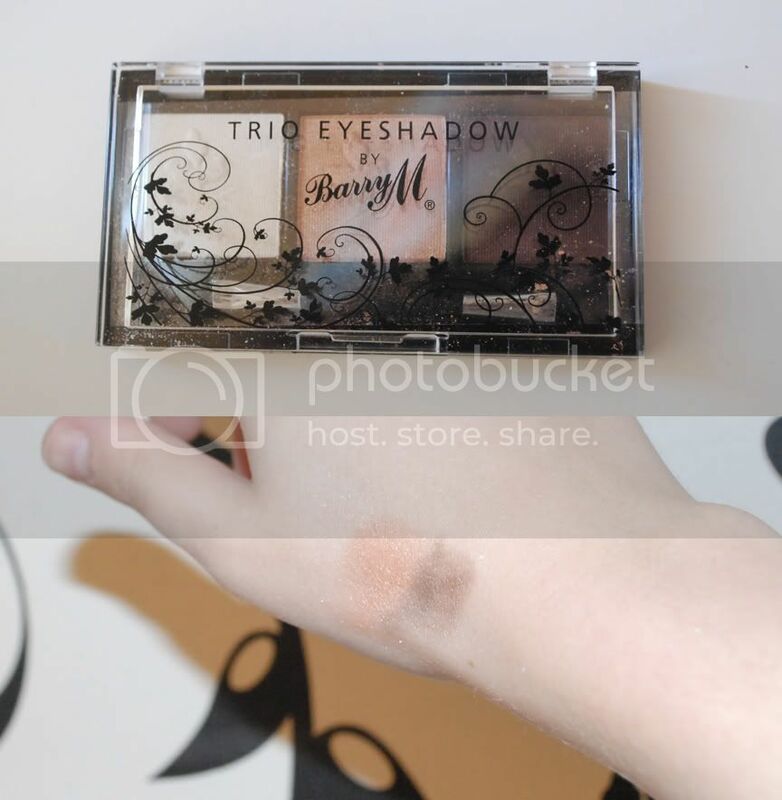 The Trio Eyeshadows (mine is called Golden Goddess) are subtle and shimmery, which is the effect I want for everyday use and for during my holiday. They're easy to blend together, although the cream base colour doesn't show up well (as you can see on the swatch) so you need to apply a fair bit. The 3 in 1 mascara (which volumises, volumes and curls your lashes) didn't clump and it lengthened my eyelashes really well. It's only available in black though, but they have a different mascara in various colours to suit your vibrant needs! You can buy these products, plus many others, on the website... The Wink Marker Pen costs £4.59, the 3 in 1 Mascara is £6.19 and the Trio Eyeshadow is £5.99. I loved everything I got from Barry M, but I must say that my favourite is the Wink Marker Pen! What do you think of Barry M? Do you have a favourite product in the range?